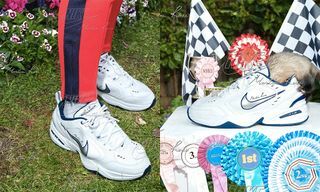 By now, most people are quite familiar with the peculiar case of the Nike Air Monarch IV: the affordable cross trainer that has caused plenty of division in the sneaker universe. Never before has such a basic shoe become so polarizing. 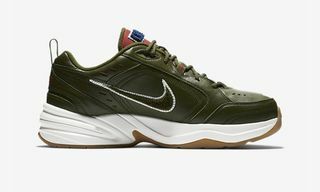 Never before has such an unassuming sneaker been proclaimed “Dope AF,” and simultaneously “Ugly AF” as much as the Air Monarch. What is it about the Monarch that creates such disparagement? What is it about this sneaker that rubs people the wrong way, but also sells better than almost every other Nike shoe? I was first introduced to the Monarch thanks in part to @teammonarch – the popular Instagram page dedicated to the king of all dad shoes. Intrigued by the page back in 2014, and soon becoming a father myself, I decided to stop by my local Famous Footwear store and give the Monarchs a try. The shoe boasts a full-length Air Sole unit, and comes in both a traditional size D width and 4E for a roomier fit. The price tag was easy on the wallet as well: only $64.99 (and usually on sale for $59.99 or even $54.99). There were safe colorways: all black, white/midnight navy, and white/black. The Monarch was comfortable. I could feel that full-length Air, like pillows for my feet. I could walk my dog, take my daughter to the park, or run out to the grocery store in these. I was hooked. And I wasn’t the only one, apparently. Over the last few years, the Air Monarch has continued to pop up all over social media. They are the personal game day choice for Seattle Seahawks coach Pete Carroll, primarily in a special white/navy/silver/neon green colorway. There have been customs, ranging from a “Black Cement” rendition inspired by the Air Jordan 3, to a Simpsons-inspired “Assassin” model created by @mache275. But how successful is the Air Monarch, really? What defines success? Sales numbers alone? Influence on sneaker culture? Both? That’s where the polarization aspect comes in. Sales-wise, the Monarch definitely moves units. I spoke to multiple Nike factory store employees who claim they have sold at least one pair of Monarchs every day for the past few years. However, the people purchasing these shoes are basically all in the same demographic: American dads. 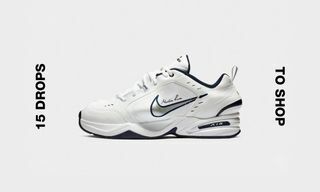 It makes sense that Nike has been selling a ton of Monarchs to all the dads who just want to live their life in comfort. There will always be a large population of consumers who have no interest in posting sneaker selfies to “flex on ‘em.” These consumers are not looking for a flashy shoe – they just want a fair price and a comfortable sneaker. The 45-and-over American male demographic in general is looking for something reliable that they don’t have to think too much about. Something that is versatile and comfortable, and made by a trustworthy brand like Nike. They want a pair of sneakers durable and comfortable enough to wear for a few years. And when it’s time for a new pair, these dads want to walk right into the store and find the same exact style on the shelf without some drastic change being made to them. So why is the younger generation (even guys like Drake and Russel Westbrook) so enamored with the Monarch? Are people other than dads really copping them? I decided to conduct an Instagram poll to find out. If you ask the average sneakerhead (and I asked 1,312 of them, with the average age ranging from 25 to 34) if they owned a pair of Monarchs, only 18% actually do. So, is the Monarch popular or not? How can a shoe be trending on social media if a key demographic isn’t actually buying them? While younger sneakerheads might be more inclined to spend their money on YEEZYs, the Monarch is certainly a topic of fascination, plus it aligns well with other ironic, chunky sneaker choices like the Raf Simons x adidas Originals Ozweego and the Balenciaga Triple S, although the Monarch certainly came first. The big discrepancy confirms the power of perception versus reality on social media. Sneaker influencers and user engagement can really propel products organically. Nike definitely didn’t plan on this Monarch social phenomenon. They know there is a large population of (primarily) men that prefer a reliable, simply designed sneaker that isn’t going to change over time. Male shoppers in general don’t want to think too much when they shop. They know what they like, they know where to find it, and they want to get out of the store as quickly as possible. When it comes to the Air Monarch, Nike knows this, and they know not to mess with a good thing. The Nike MK2 Tekno seen at John Elliott's FW18 show in New York. Of course, that’s not to say Nike won’t capitalize on the success of the Monarch even more. In today’s sneaker market, trends change rapidly. No sneaker is safe, not even reliable ones like the Monarch. 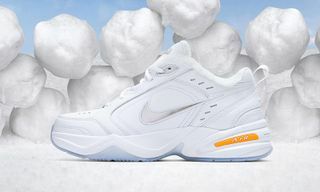 With that in mind, Nike is taking advantage of the Monarch wave by introducing the MK2 Tekno – a sneaker that resembles the Air Monarch II. 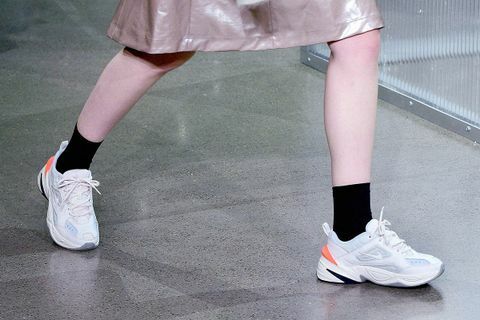 First seen on the runway at a John Elliott fashion show, social media went wild and the MK2 Tekno became an instant hit. 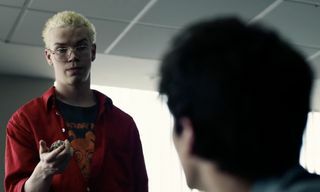 “Is this the Air Monarch V?” people asked. “Will it release?” Only days ago, Kanye West himself took shots at the MK2 Tekno, comparing it to his own YEEZY 700 design. All signs point to the Tekno releasing within the next month in multiple colorways, with a price point of around $100. 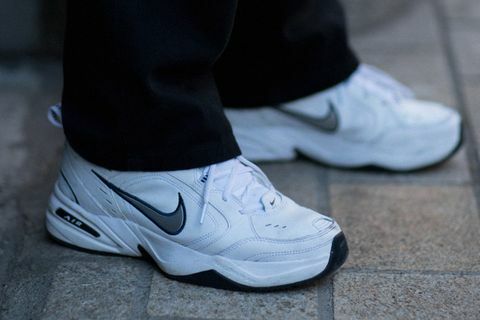 It’s Nike’s way of acknowledging the dad fashion trend, but also keeping the sneaker true to its heritage. Will the Monarch wave continue with the MK2 Tekno? Or will the younger generation call Nike’s bluff and pass? 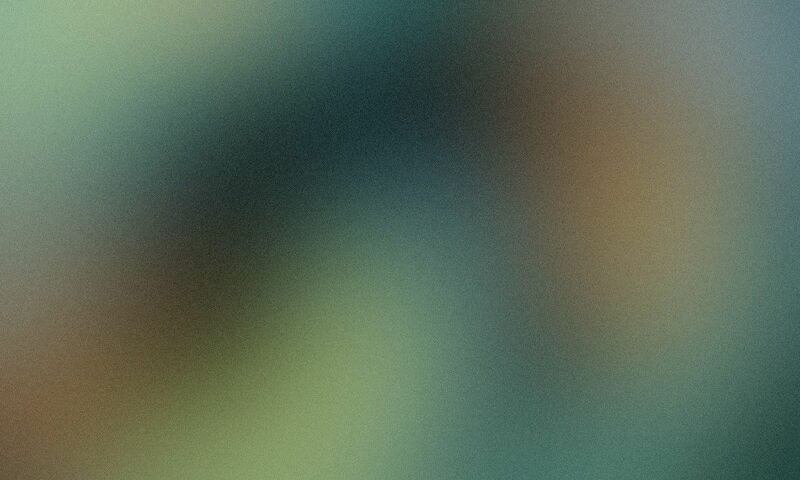 All signs point to the Tekno heading right where the Monarch IV left off, with plenty of praise and scorn straight ahead. Either way, the sneaker dads probably won’t notice (or care). They already know what sneaker they’re buying once it’s time for a new pair, and that’s not going to change anytime soon.